Worthful ramen to try at one time. 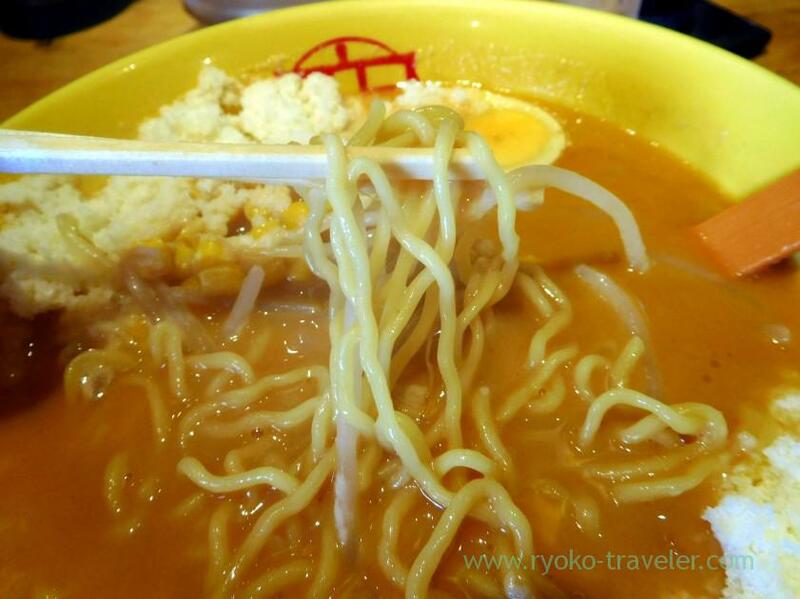 I rememeber Marukyu ramen made by Tsukumo Tonkotsu ramen was all the rage about 10 years ago. 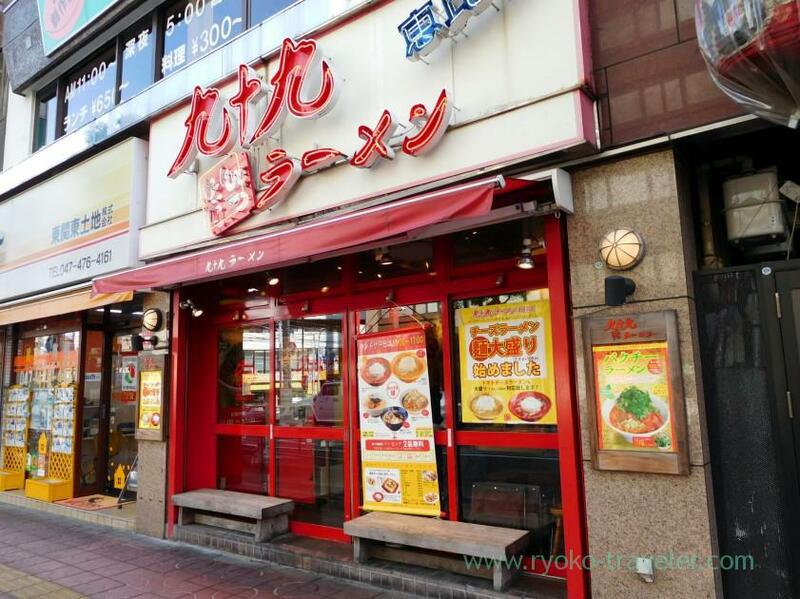 Tsukumo Tonkotsu ramen is tonkotsu ramen shop and still one of the popular ramen shop. The Tsudanuma branch is close to Tsudanuma station and it is very convenient. Many seats were occupied at any time. You don’t know “Marukyu ramen” ? OK. Please wait a minutes. Let me introduce their valuable lunchtime before that. There’s ticket vending machine as soon as you enter the shop. 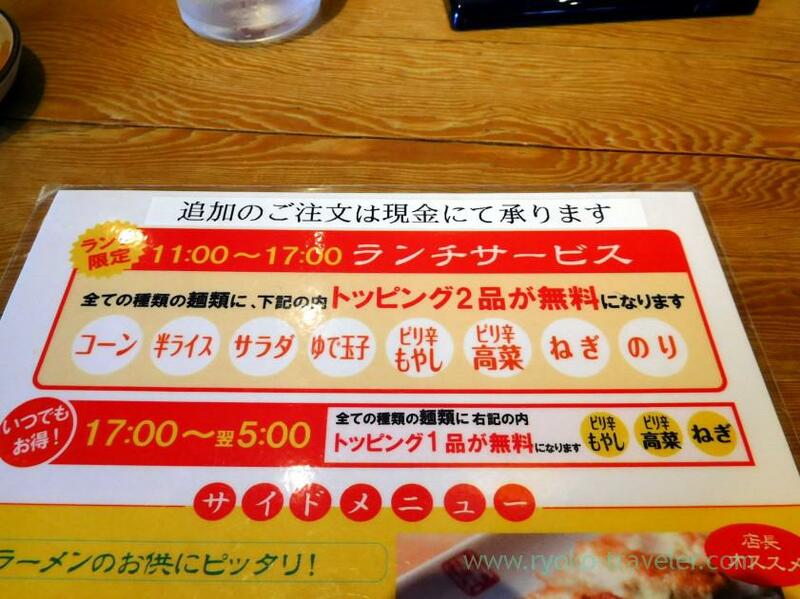 Their “lunchtime” is until 5 p.m. We can choose two toppings from these eight ingredients while the lunchtime. Corn, half size of rice, salad, boiled egg, spicy soybean sprout, spicy green vegetables, green onions, seaweed. 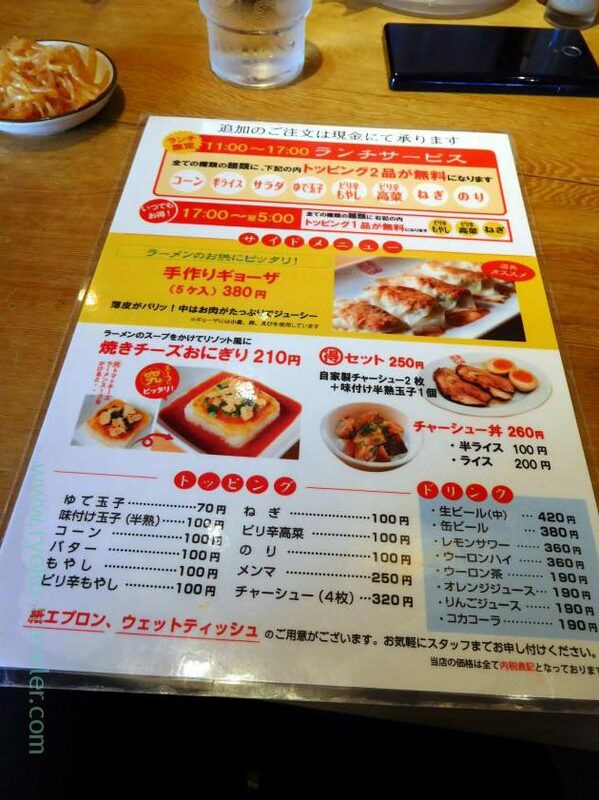 Yes, rice and salad isn’t topping for ramen :p But they include these foods into their offer. This is Marukyu ramen (まるきゅうラーメン, 930 yen). This white things are, shredded Gouda cheese. 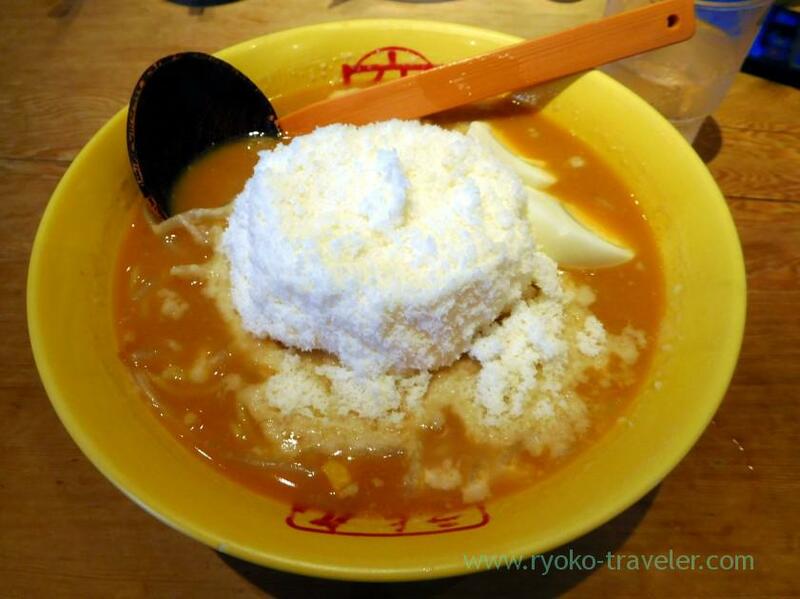 The cheese shredded by the machine smoothly and put them on the completed tonkotsu ramen. I could never imagine the taste before eating it ! Curly and narrow noodles dressed with shredded cheese. Truthfully speaking, I didn’t like it. The smell of tonkotsu and cheese alltogether wasn’t good. But there’re many people who like this smell and tastes. And this is one of the history of tonkotsu ramen. So, I recommend you try it at one time. There’s Hyakurakumon that is Chinese foods restaurant on the 2F floor of the same building. It’s popular lunch spot with hearty meal, too. If you trip around Tokyo, Tsudanuma branch is a little far from the center of Tokyo. So, Ebisu honten (head shop) is convenient. Both shop is open until 5 a.m. !